To create the poems in this collection, Nobel Prize–winner Herta Müller cut up countless newspapers and magazines in search of striking phrases, words, or even fragments of words, which she then arranged in a the form of a collage. 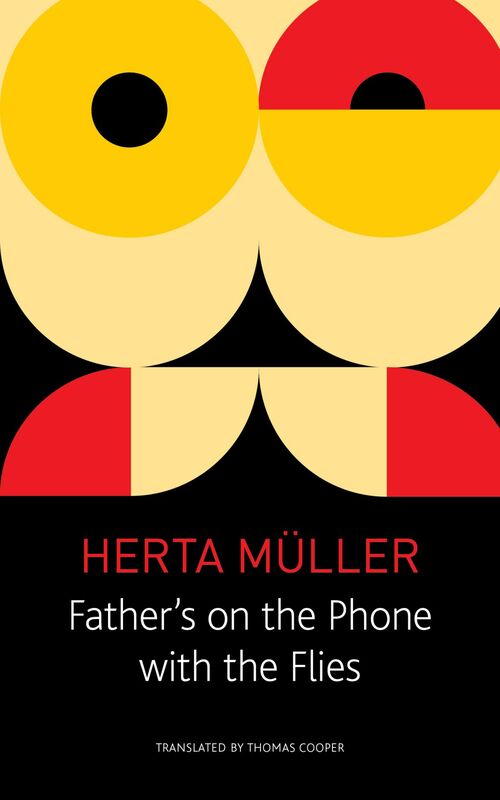 Father’s on the Phone with the Flies presents seventy-three of Müller’s collage poems for the first time in English translation, alongside full-color reproductions of the originals. Müller takes full advantage of the collage form, generating poems rich in wordplay, ambiguity, and startling, surreal metaphors—the disruption and dislocation at their core rendered visible through stark contrasts in color, font, and type size. Liberating words from conformity and coercion, Müller renders them fresh and invests them forcefully with personal experience. Sure to thrill any fan of contemporary literature, Father’s on the Phone with the Flies is an unexpected, exciting work from one of the most protean writers ever to win the Nobel.